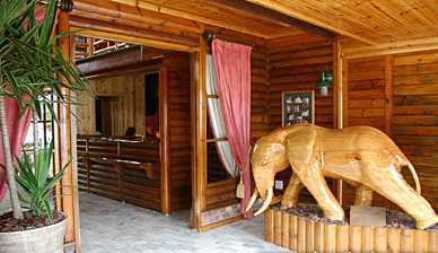 Come and relax and enjoy the tranquility of this 3 Star timber-log hotel. The vibe, friendliness and helpfulness of staff, and an excellent nights rest is what we are best known for. 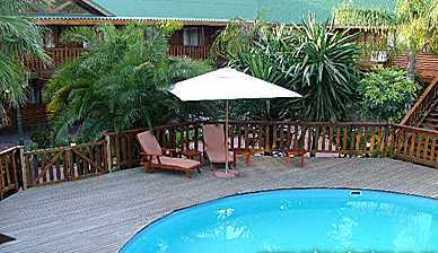 Centrally situated in Grey Street, we are a mere 200 m walking distance from the many departure points of local activities at the Knysna Waterfront as well as town centre. 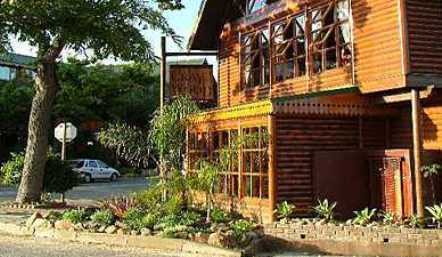 Shoppers will delight in the array of shops available in Knysna. 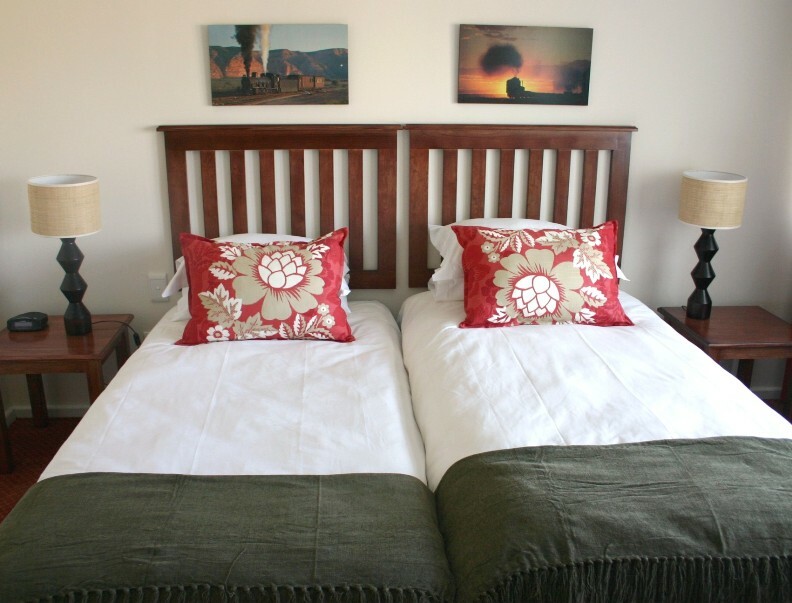 49 tastefully decorated en-suite bedrooms invite you to unwind in comfort and style. Each room is equipped with air-conditioning, electronic safes, remote control TVs (local channels only), direct dial telephones, hairdryers and tea and coffee facilities. Facilities include a sparkling swimming pool and wooden sun deck, which is surrounded by a beautifully manicured courtyard garden. Wake up to a full buffet breakfast served in the restaurant or on the sun deck. There is also a fully licensed bar where pre-dinner drinks may be enjoyed before sampling on of Knysna’s many excellent restaurants. So come and relax at The Graywood Hotel. A hotel built entirely with wood. Nice place but a bit creek when walking around. Staff are very helpful. A really terrible way to start a day. No place to sit at breakfast and only one staff serving a hundred foreigners. No place for locals. Firstly the staff: always very friendly and helpful. Willing to go the extra mile for all guests. Rooms and amenities very nice. Nice small hotel, staff is lazy, we booked 3 rooms, one room was new and nicely done. Lovely room. Nostalgic theme. Amazing hospitality. Wonderful rustical hotel with a good location. You can visit everything by foot. Also the breakfirst was very delicious. I can totally recommend this hotel! There is no dinner served. You would have to go somewhere else. Breakfast is very limited and very crowded. Too much noise from your neighbors room. Quaint but not for relaxing. Pool is too small. Doors don't lock properly. Stayed in this hotel 3 times in total. First two stays were ok to average. 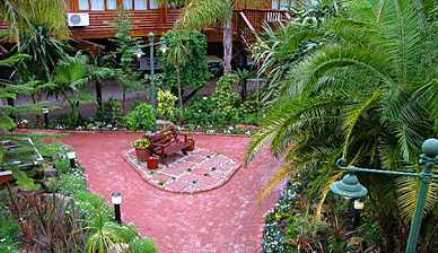 This place is well located, short walk to marina. 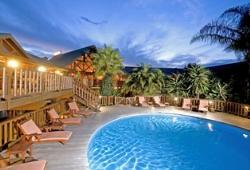 Rooms and are well equipped for this level of hotel, there is even small pool in the inner yard. Reception is shambolic and slow, but there is noting new here, Im not even offended . But one thing you must avoid - its a breakfast. On my last stay went for a breakfast buffet and got myself a scrambled eggs and sausages from the heated trays. Staff seeing that, advised me not to eat the eggs because they been very long time there. So I skipped the eggs and ate 1 sausage. What an mistake that was! By the afternoon was rolling in pain with high fever. Did not had such a food poisoning ever! Lasted 5 long, painful days. On that note I cant recommend the hotel, or if you not eating there, you should be ok.
Good venue, but horrified at the terrible attitude of the staff. A pleasant place, near the waterfront. The building is made of wood, what gives a special flavour to it. "Very central but tranquil little gem"
The picture gives a perfect reflection of the Hotel. Service is good - recommended. 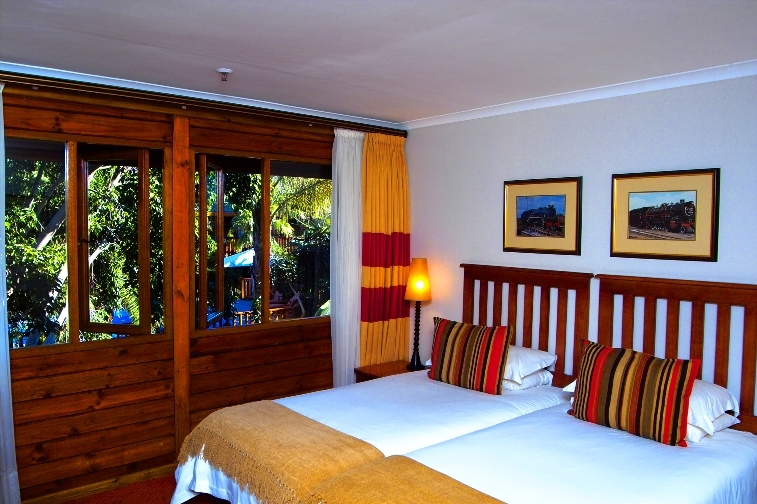 Request a quote from Graywood Hotel at no obligation.